Social networking giant vKontakte appears to be taking action to end eBook piracy on its platform. The site has become known as a great place to download unauthorized copies but according to industry sources, vKontakte appears to have initiated some kind of "takedown-staydown" mechanism. While movies, music and TV show downloading grabs most of the headlines, a growing subset of Internet pirates like to obtain eBooks online for free. 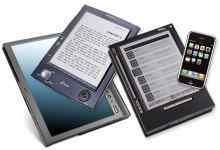 With the growth of dedicated readers such as Kindle and eBook-capable hardware such as iPads, tablets and smartphones, eBooks are easily downloaded from torrent and file-hosting sites in a few seconds and consumed on the go. One site where eBooks are particularly easy to find is Russian social networking platform vKontakte. The site often appears in searches for popular book titles and downloads are mostly direct and speedy. For this reason vKontakte has found itself embroiled in various copyright-related disputes. Now, however, there are signs that the platform is taking steps to do something about the phenomenon. According to a report coming out of Russia, vKontakte has introduced a system that not only takes content down following rightsholder complaints, but also stops that same content becoming available for download in the future. Users are reportedly able to upload previously-flagged content but it is not made available for download. At the moment vKontakte is refusing to comment on the reports but according to Izvestia the existence of the system has been confirmed by both rightsholders and operators of social network-based eBook communities. Any user of vKontakte is allowed to upload eBooks in a range of formats and embed these in their pages. These can then be downloaded directly from vKontakte’s servers. However, according to the report there are increasing problems with content disappearing, with VK reporting that files have been deleted following requests from copyright holders. Interestingly the development is having an impact externally too, with a prominent anti-piracy outfit reporting a shift in availability. “We have noticed that our monitoring service is sending fewer claims [to VK] and we are now analyzing the cause to discover the reason,” says Maxim Ryabyko, Director General of the Association for the Protection of Copyright on the Internet (AZAPO). Back in February, AZAPO reported vKontakte to the Moscow City Court after the platform allegedly failed to take solid measures to protect copyright. AZAPO’s aim was to force the social network into negotiations. “Our goal is to urge vKontakte to adequately interact with the book industry,” Ryabyko said at the time. What has prompted the disappearance of books from the platform remains unclear but Ryabyko says that he doesn’t rule out a link between recent developments and AZAPO’s legal action against vKontakte. Another possibility is that some kind of deal has been reached with book owners. Last year publishers offered several opportunities for VK to monetize content on its platform, including via an all-you-can-eat subscription model. Other offers included an ad-supported mechanism and a partner program, which would see samples of books diverting to publisher platforms. It is not clear whether these offers were attractive to VK but if pirate content is disappearing from the site, publishers will be happy.